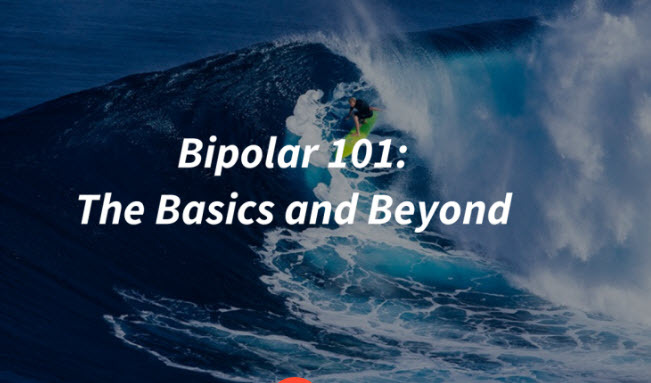 We are excited to announce a repeat of our very successful Bipolar 101 Group Fall 2017. Do you want to learn more about bipolar disorder and connect with others who may have experienced similar symptoms to you? “What is Bipolar?” – What do we know about the causes and what are the implications of this information. “How and Why to Keep Track of Mood” – Options for mood charting and why this can make such a difference in how you manage moods. “Medications” – The good, the bad, and the ugly. What you need to know about medication options. “Substance Use” – The latest on how substances from CBD to LSD affect bipolar. Are some of these potential treatments? We’ll look at the data. “Early Detection and Prevention of Severe Mood Swings” – Strategies for preventing routine small ups and downs from turning into mood episodes. “Healthy Routines” – How a certain morning routine can help you achieve more stability. “Other Treatments” – Non-medication approaches to treatment. This group is a great way to learn more about bipolar disorder and hear from peers about their experiences with treatment approaches and coping with symptoms. The group is open to individuals outside of the clinic so long as they can be referred by a current provider. If you or anyone you know may be interested in the group, please contact me at ggregory@gatewaypsychiatric.com.